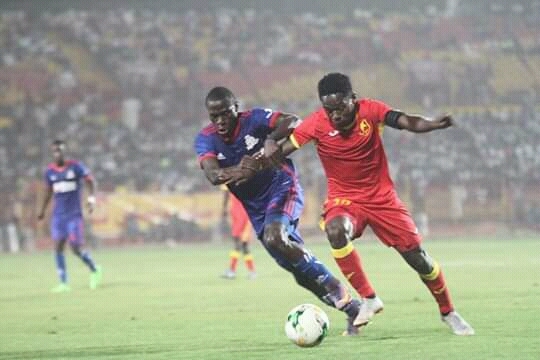 SUDAN – Vipers SC were defeated 2-1 in their CAF Champions League preliminary round first leg clash away to Al Merreikh on Wednesday evening. On a day that the Venoms struggled to get to grips in the game, substitute Dan Sserunkuma scored what may yet prove to be a vital away goal in the tie. After a goalless first 45 minutes, Vipers defender Livinstone Mulondo handled in the forbidden area and the referee pointed to the spot. Bakri Almadina converted the resultant kick to put the hosts in front with only 11 minutes to play. Two minutes later, Al Merreikh were 2-0 up thanks to Ibrahim Altag and they looked to be headed for a comfortable victory. However, Sserunkuma who had earlier come off the bench to replace Abraham Ndugwa had other ideas as last season’s Uganda Premier League top scorer scored the all-important away goal to ensure the game ends 2-1. Vipers SC will host the return leg on Tuesday December5at St. Mary’s stadium, Kitende aware that a 1-0 score line in their favour will be enough to see them through to the next round. Bashir Ssekagya, Ibrahim Kiyemba, Yayo Lutimba, Halid Lwalilwa, Livingstone Mulondo, Taddeo Lwanga, Geoffrey Wasswa, Moses Waiswa, Abraham Ndugwa (Dan Sserunkuma), Tito Okello (Duncan Sseninde), Noah Wafula (Rahmat Ssenfuka).